In conjunction with SYRA Art’s exhibition, Debunking Orientalism, jewelry by designer, Azza Fahmy, will be shown at The Untitled Space at a special presentation on April 14th. Listed as one of Egypt’s most influential women, Fahmy travels internationally as a cultural ambassador for her country, and has held more than 200 exhibitions worldwide. Her jewelry is inspired by 7000 years of culture & defined by contemporary minds. Each piece revolves around a central inspirational motif, a poem, a piece of literature, a traditional style, a romantic or spiritual idea or simply a beautiful thought. 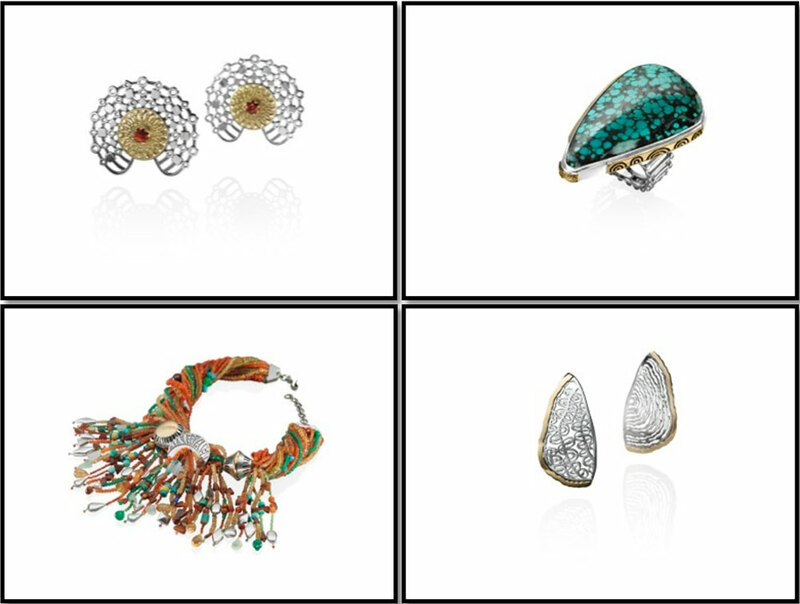 In recent collections, a modern twist to tradition has been added, delivering new and unique contemporary pieces. When Fahmy started out, it was culturally and socially unacceptable for a young lady from the conservative Upper Egypt state of Sohag, with a Fine Arts degree and a respectable job in the government, to work as an apprentice in a workshop. Although deemed crazy by colleagues and friends, she carved out her niche in jewelry design. In constant search for inspiration, Fahmy, aka “the First Lady of Cultural Jewelry” explores conceptual and aesthetic values of Ancient Egyptian, Coptic, Islamic, Nubian, African and folkloric heritage. Locally and internationally celebrated, Azza Fahmy has successfully transformed the concept of jewelry making from a craft to an art. Founded in 1969, Azza Fahmy jewelry has been featured in collaboration with many international fashion designers including Julien Macdonald, Preen by Justin Thorton and Thea Bregazzi, and most recently British designer Matthew Williamson. In 2012 Azza Fahmy created a Bespoke collection for the British Museum’s Exhibition “Hajj: Journey to the Heart of Islam,” which entailed historic reflections inspired by Hajj pilgrimage and sacraments. Later that year the brand unveiled some of its most Classical and Ottoman inspired iconic pieces at the Louvre Museum in Paris. Debunking Orientalism is an exhibition in which Syra Arts and The Untitled Space gallery along with renowned curator Nagla Samir, aim to give art enthusiasts an opportunity to explore the many layers of Egyptian identity and to travel through time unveiling different styles and mediums. ‘Debunking Orientalism’ hopes to challenge all preconceived notions and perceptions one might have on Egyptian art; and to engage in discussions on creativity of expression and how it is affected by race, religion, creed and politics. For more information about Debunking Orientalism, click here.